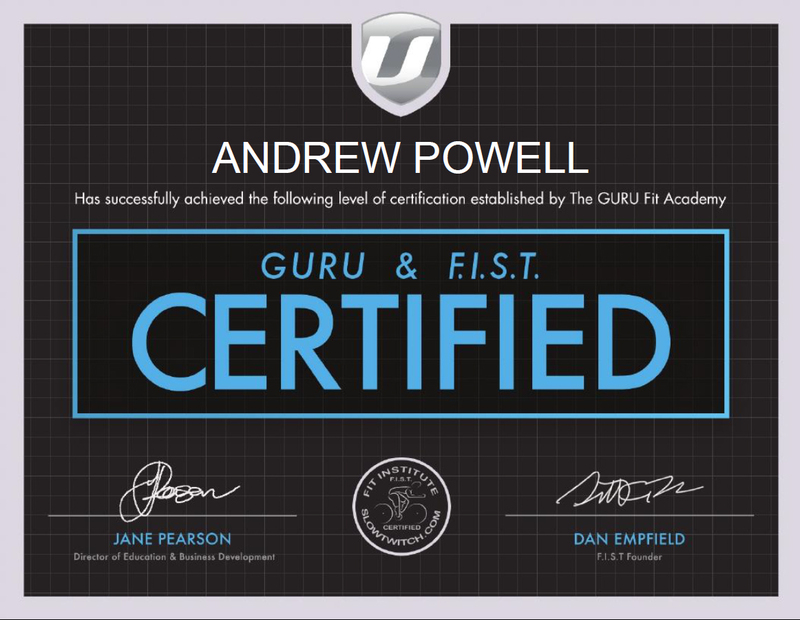 Andrew Powell is a triathlon coach in Vancouver & online for athletes of all levels. Improve your performance! Go above and beyond with Coach Powell! Imagine conquering your biggest fear. Getting to a place you didn’t know existed for you. Achieving personal athletic goals so far out you couldn’t get there alone. If any of these dreams describe you, then you’ve come to the right place. Stop dreaming! Make them happen! How does Coach Powell get you to your goals? Let’s count the ways! 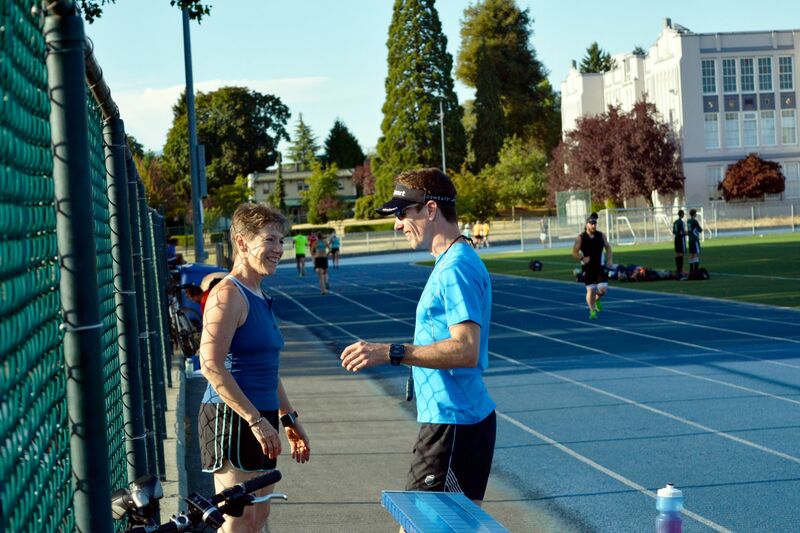 Achieving your desired goals takes creativity, and creativity is one of Vancouver triathlon coach Andrew Powell’s top qualities. Are You Ready to Pursue Your Athletic Goals? Vancouver triathlon coach Andrew Powell is more than an athletic coach. He creates a personalized program for every athlete. Then, through motivation, organization, goal setting and goal pursuit, he shows you how to make that program and its challenges your own. 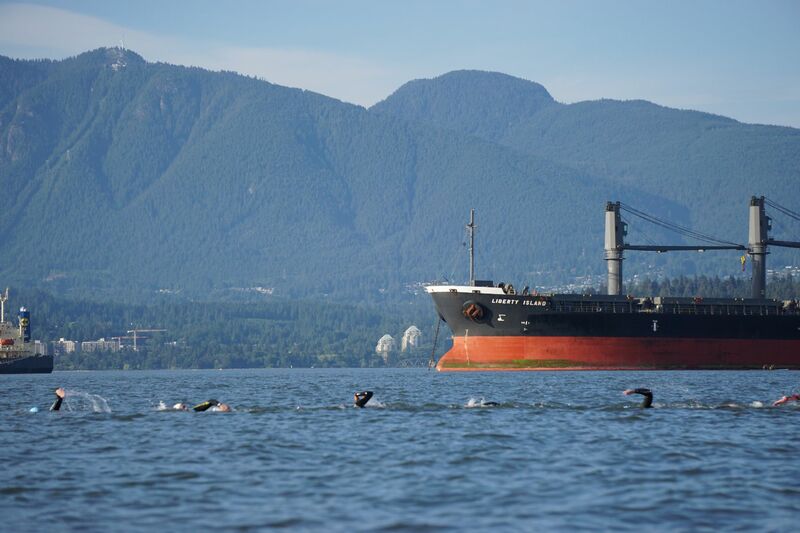 Take full advantage of having a local Vancouver triathlon coach. Triathlon training is a long-term process. There’s no getting away from that fact! Vancouver triathlon coach Andrew Powell has your best interests at heart, and he wants nothing better than to see you succeed! That’s why he recommends consistent, long-term training. With consistency and time, you will build your strength and endurance, and before you know it, you will be achieving your athletic and personal goals! 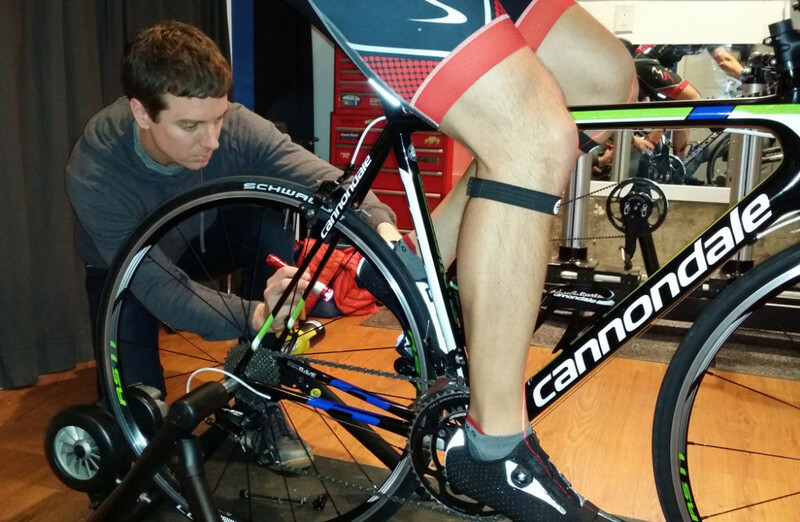 A professional bike fit is the first step to optimizing your comfort and cycling performance. 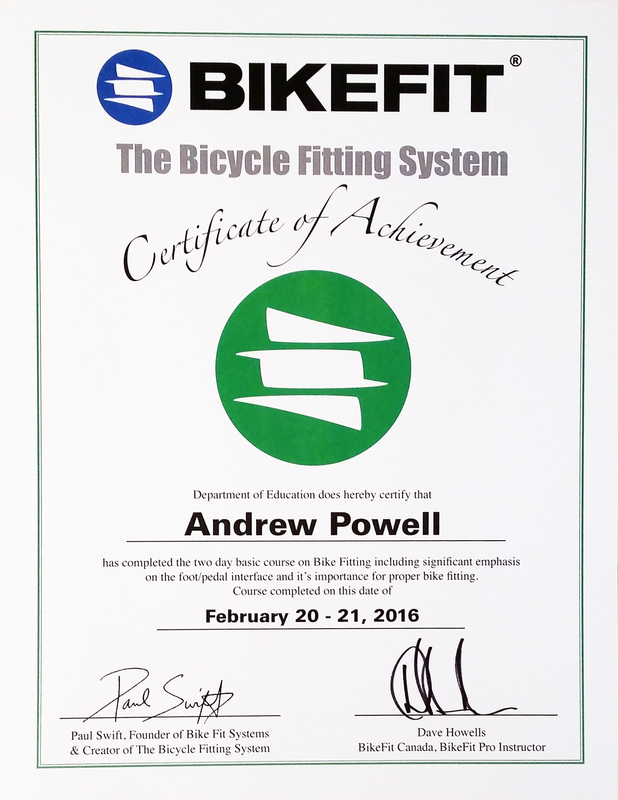 Coach Powell is your certified Vancouver bike fit specialist. From the foot pedal interface to proper seat and handlebar positioning, having your bike fit properly adjusted will allow you to get the most out of your bike. Riding a bike should be fun AND comfortable! First and foremost, riding a bike should be comfortable and enjoyable. Make the most out of your investment, don't neglect this part of your experience. Having your body in the right position will keep your muscles more relaxed so that you can ride longer and further. A poor bike fit can cause serious overuse injuries if left unchecked. The foot pedal interface is one of the most important aspects of a proper bike fit. If your cleats are not properly adjusted on your shoes and your saddle is incorrectly positioned, you could be causing unnecessary strain on your joints and muscles. At 90 pedal strokes per minute for each leg on a 3 hour ride, that's 32,400 pedal strokes! The benefits of a proper bike fit don't stop with enhanced comfort, being in the right position will also improve efficiency and power. By improving your weight distribution and leverage over the pedals, a significant difference with regard to power and force can be felt throughout each pedal stroke. It doesn't matter whether you're a competive cyclist or a weekend warrior, having your fit dialled in could be the difference that allows you to keep up with your faster friends, out-sprint them on that favorite stretch of road or get on the podium at your next event! 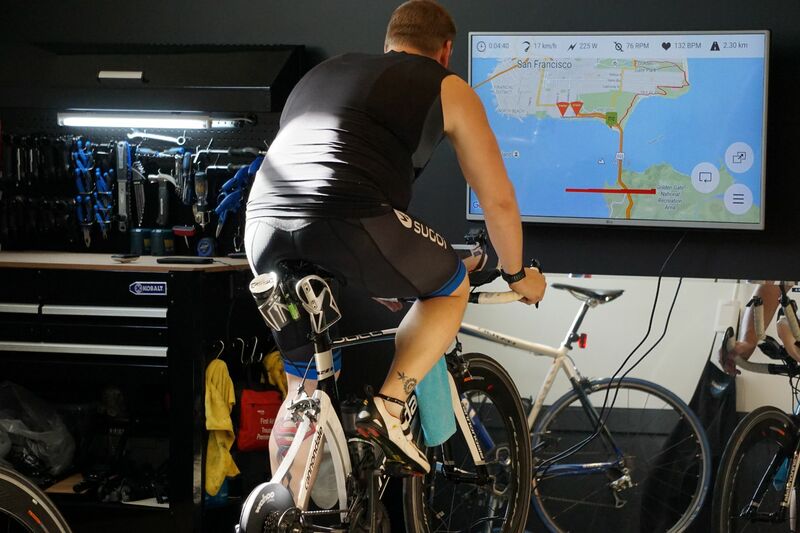 Don't delay any longer, contact Coach Powell today to schedule your Vancouver bike fit. 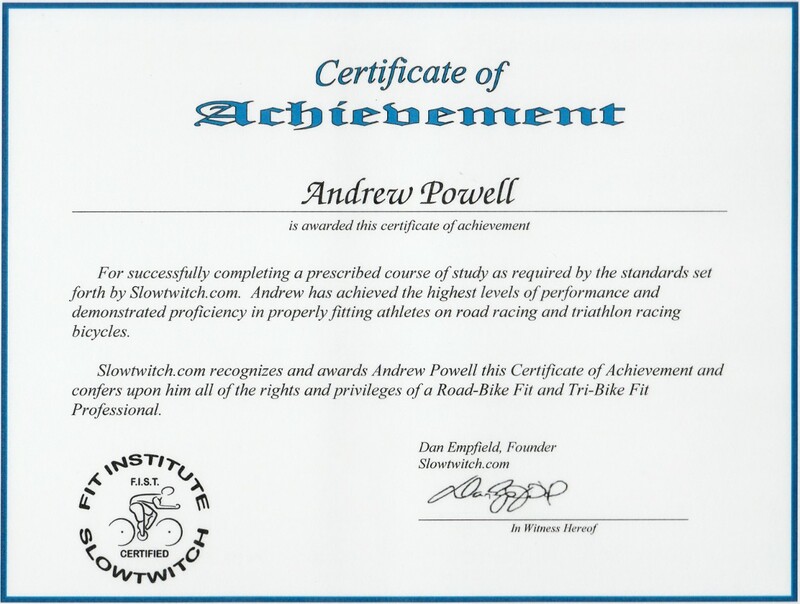 As well as having several years of experience bike fitting and having raced at the professional level, Coach Powell has personally trained with some of the worlds leading bike fitters including Dan Empfield (Slowtwitch, F.I.S.T. 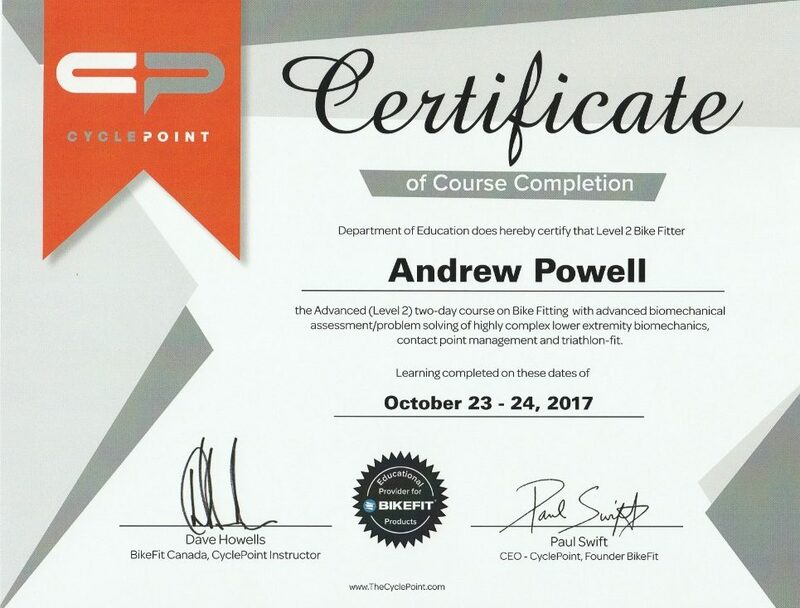 ), Paul Swift (BikeFit, CyclePoint) and Ian Murray (Guru, Cannondale Pro Team) and holds four certifications for Road and Triathlon bike fitting. Thank you for visiting the Vancouver Bike Fit webpage. Join a Vancouver outdoor cycling workout & learn how to implement technique & strategy into your rides. Connect with teammates & breathe in the fresh air! Any cyclist will tell you that there is nothing like riding outdoors. A structured interval workout outside improves your overall power and speed as well as your hill-climbing ability. Whether you are training for a Gran Fondo, a triathlon or simply training to stay fit, these interval based workouts will leave you feeling stronger than ever! Results are guaranteed when you follow our weekly program. A different focus each week: for example, power/threshold intervals one week and strength/hills the next week. A fun group that will motivate you to work hard each week. All levels of road cyclists and triathletes are welcome! 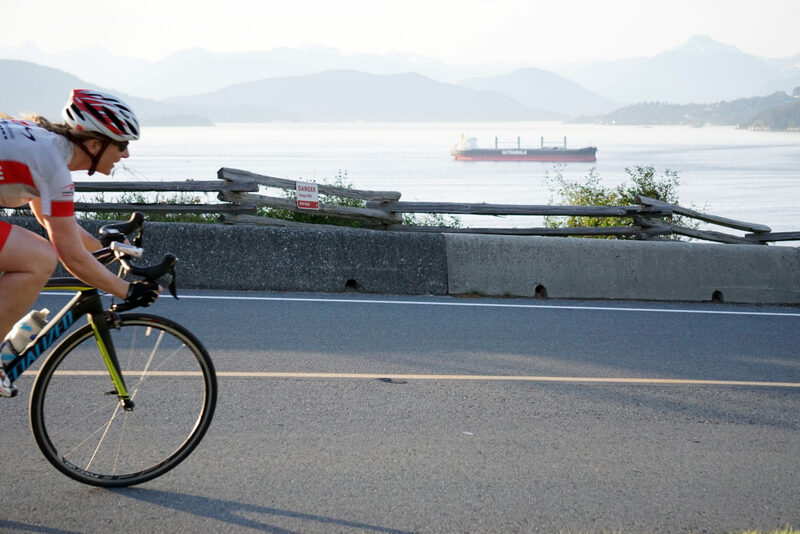 If you're confident on your bike and can ride between 22 and 25 km per hour on flat pavement, you’ll have no trouble keeping up during these fun and challenging Vancouver outdoor cycling workouts. * Please note that these are interval based workouts and not cycling lessons. Although you don't need to be fast to ride with us, you do need to be comfortable riding your bike on the road and be willing to work hard and climb steep hills on occasion. The intervals are generally done on short loops or out-and-back sections of road which makes it easy for different levels of cyclists to train together. Please arrive 5-10min early, we meet on the grass near the picnic tables outsite the studio. Rides start at the Coach Powell Studio located on the West side of Jericho Park. 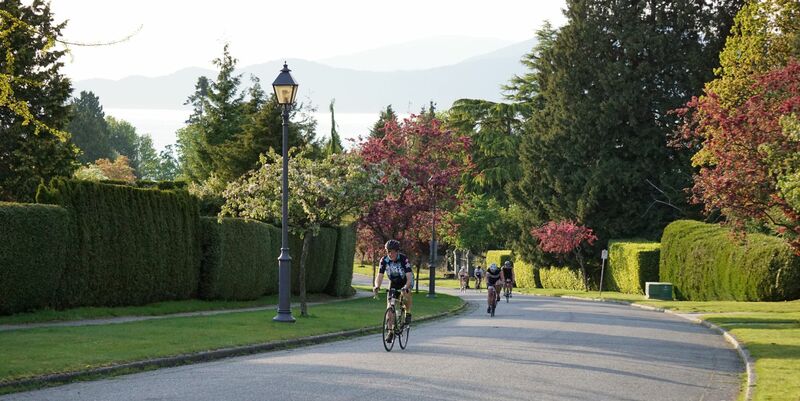 The Vancouver outdoor cycling workouts are generally held in the Jericho/UBC area. * the Coach Powell Studio is at the South East corner of the building. To access the Studio, you need to walk on the grass, the door is in the South courtyard. * Prices shown do not include GST. Season registration guarantees you a spot each week for the specific day of the week that you are registered. If you would like to attend on multiple days each week for the entire season then you need to sign up for each of those days separately. Please note that occasional substitute coaches may stand in for Coach Powell when he is out of town. Sesssions will also continue as scheduled on holidays. Sign up for the newsletter. 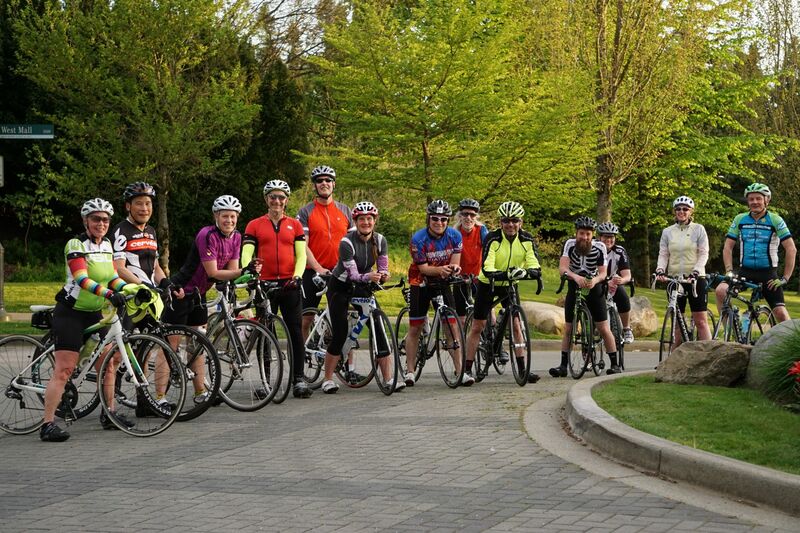 Stay informed about Vancouver outdoor cycling as well as all upcoming cycling programs.